Welcome to the National Intelligence Event 2018. I am very pleased to welcome you to our National Intelligence Event, ‘Are we making a difference? Understanding our impact on well-being’. The fantastic response we’ve had to the event, and the fact that we had to close registration early, suggests that the content is both relevant and timely. 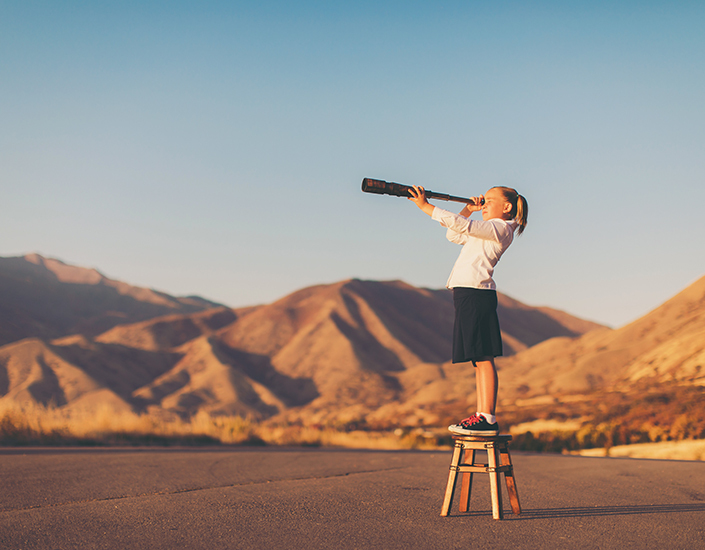 I know, from talking to colleagues across Wales, that monitoring, evaluation and understanding the difference actions and interventions are making is very topical. Also, that for many, you are at the start of your journey in this area. This event aims to provide practical ideas you can take back to support your work in these areas. This is our first National Intelligence Event since our rebrand as Data Cymru and the launch of our new three-year strategic plan. This is an exciting period for us, and while we’re only just over six months into our new era, we already feel like a different organisation. We continue to work hard to support you and to increase our relevance and our impact. If you have any local issues or challenges where you think we can provide support, please come and have a word with me or one of my Data Cymru colleagues at the event. I would like to say a huge thank you to all those who have contributed to making this event happen, including those who have contributed to its organisation and planning and those who are taking part. We are grateful to Welsh Government and the Office of the Future Generations Commissioner for their support in enabling us to make this a ‘free’ event. I wish you an enjoyable and rewarding day. 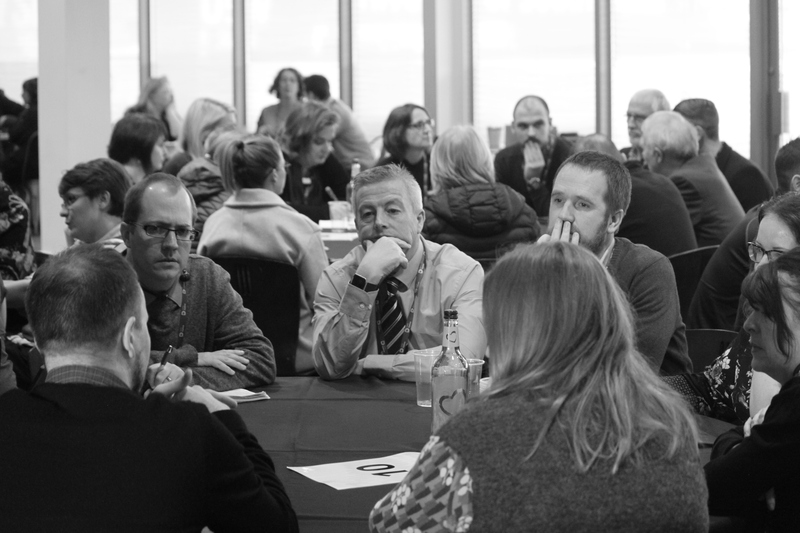 The conference also welcomed the contribution of professionals from local government, third sector, research communities and other public bodies during our eight workshop sessions. 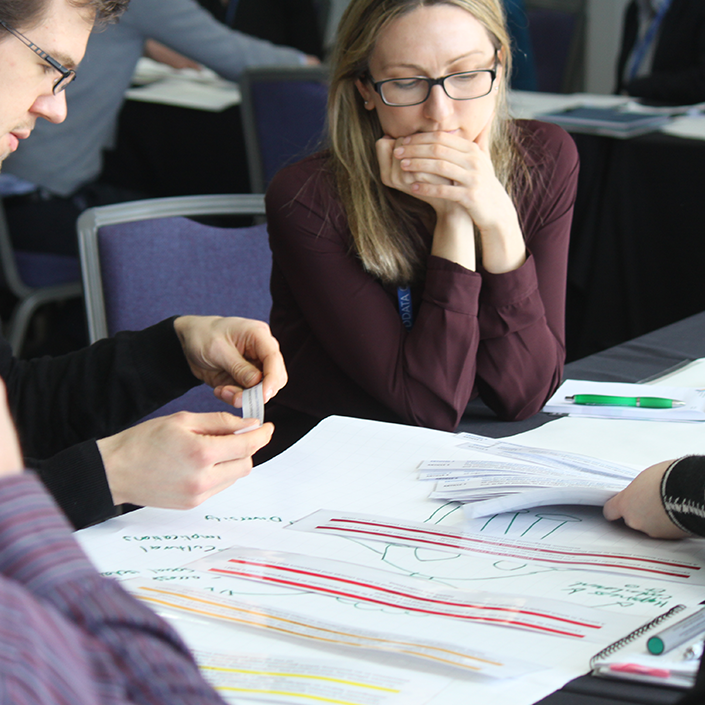 The sessions were in a variety of formats, covering a range of topics centred around the overall theme of supporting delegates to monitor and evaluate services and interventions. 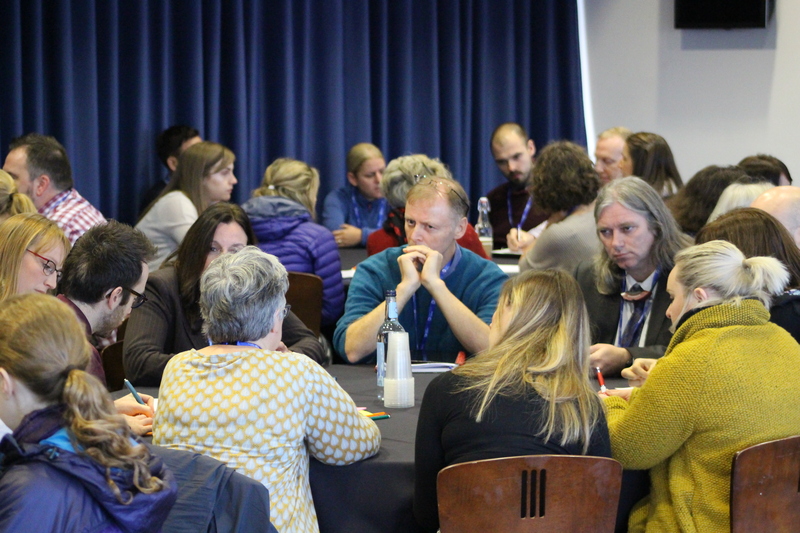 The ‘un-conference’ session (a first for us) went really well and allowed delegates to raise and discuss the issues that they are currently grappling with. Evaluation feedback from the event has so far been really positive with 98% of respondents stating that the event was ‘good’ or ‘very good’; 92% said the content was ‘mostly’ or ‘very’ relevant, and 98% said the organisation of the event was ‘good’ or ‘very good’. Having said that, we have also received lots of ideas and suggestions from delegates about new ideas and things to take forward. We are building an action plan of points we need to consider, and we will keep you informed of developments as we move forward. We have already had some thoughts about what we do with NIE in the future. We plan to continue with NIE, but we want to be more re-active, more agile in responding to demand and issues. We are looking to develop a series of smaller, more bespoke events that look at a single issue or service area and cover it in more depth than we can do in an NIE format. We look forward to welcoming you in 2019. Watch this space for updates soon. We will be holding our sixth National Intelligence Event on Thursday 22 November 2018 at Cardiff City Stadium. 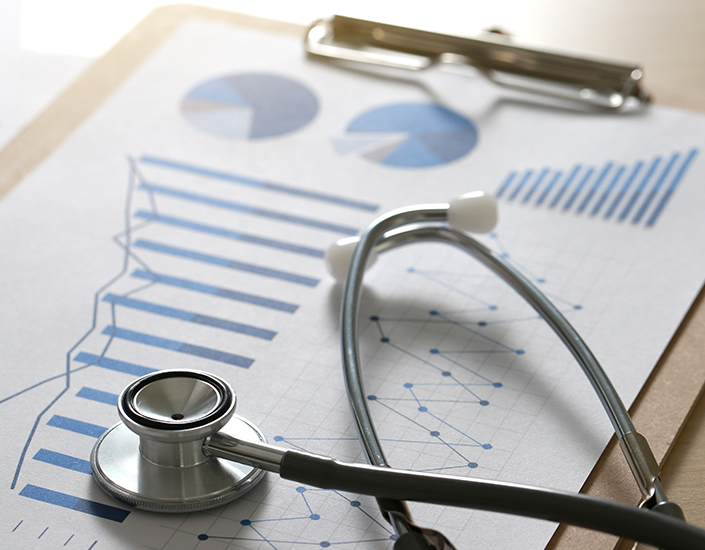 New legislation, new expectations and different ways of working mean those delivering public services in Wales need to think differently about how they evaluate and measure the effectiveness and impact of policies, actions and interventions. This event will explore what this means, provide practical ideas and solutions and show how these might be applied. There will also be an opportunity for attendees to get their questions and issues around this topic raised and discussed. 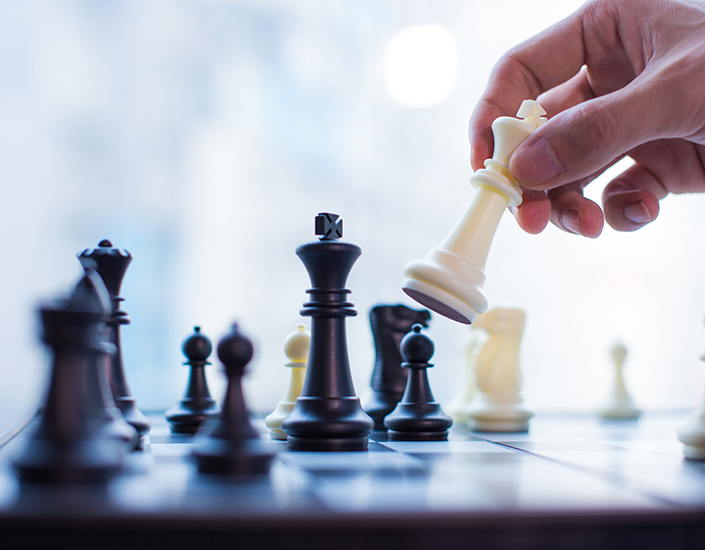 Play a leadership role in a public body, public services board or other organisation delivering public services. Have responsibility for, or support, the delivery of well-being plans - including the area plans and local well-being plans. 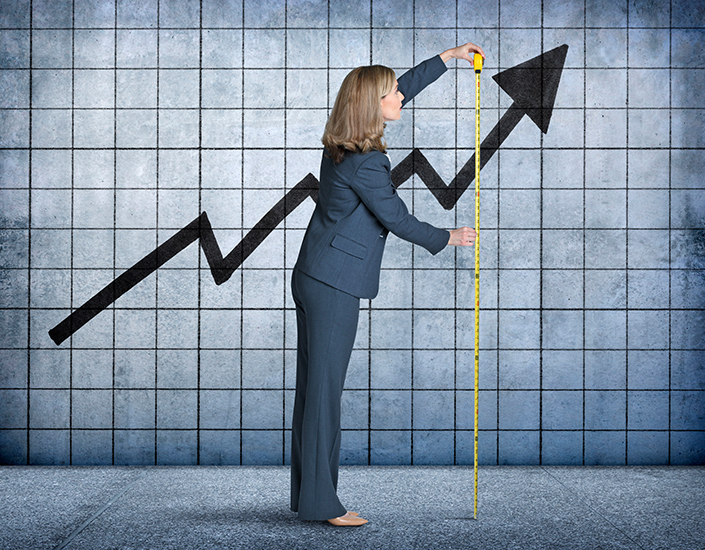 Want to know more about measuring and evaluating the impact of policies and interventions. We have put together an exciting programme with a range of national partners. 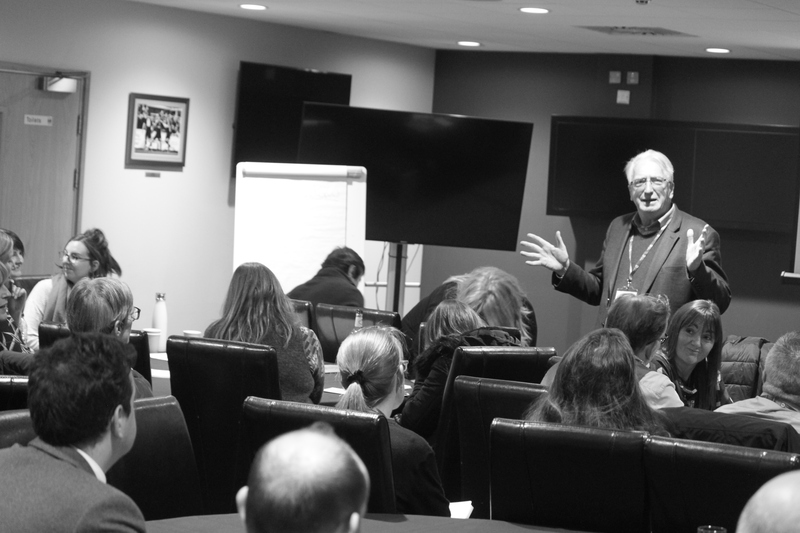 The day contains a wide range of informative and interactive sessions, aimed at providing you with practical solutions and ideas that you can use within your own organisations. We have two plenary speakers who are renowned in their respective fields of the design of public services and the use of well-being data in the evaluation of interventions, both of whom will provide a perspective from outside of Wales. There are eight workshops to choose from, delivered in a variety of formats, covering a range of topics centred around the overall theme of supporting you to monitor and evaluate services and interventions. We also have an ‘un-conference’ session, which will allow you to raise and discuss the issues that you are currently grappling with. There will also be time to network with fellow delegates and talk to national partners. We have ten exciting workshops available. The long workshops will take two sessions, short workshops will take one session. Using national well-being data to support local analysis. 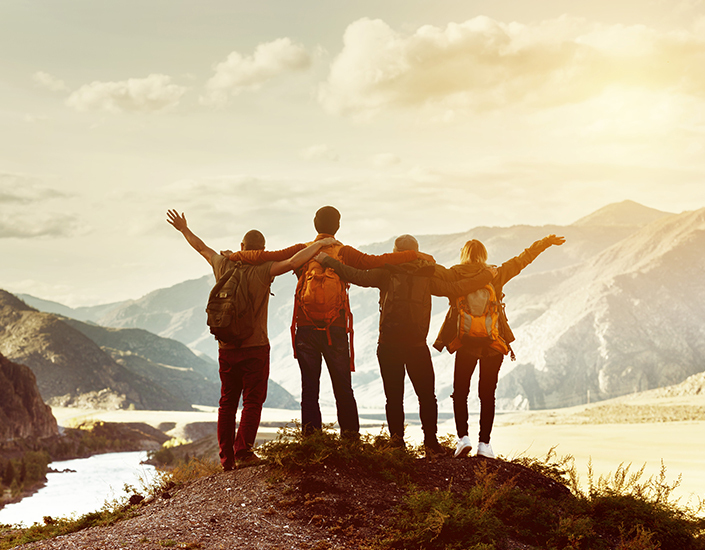 Exploring how well-being resources such as ONS National well-being measure, WIMD, Thriving Places and the annual Welsh Government Well-being of Wales report can be used locally to measure improvements in well-being. This session will include presentations on the resources and a panel discussion on how they can be used to support local analysis. This is a supportive workshop to assist public bodies in the completion of their self-assessment tool issued by the Future Generations Commissioner. It is a chance for public bodies to come together to ask questions, receive guidance and learn from one another in this first year of applying the tool. Presentation on the analysis of well-being assessments and plans carried out by the Future Trends team. An overview of the programme’s future plans and the in-depth work planned for Wales. Paul will follow-up his plenary speech with a workshop highlighting practical examples of interventions that include well-being as part of the evaluation model. This session will show how sharing responsibility with providers and partners can lead to improvements in public services, and how this improvement can be measured. 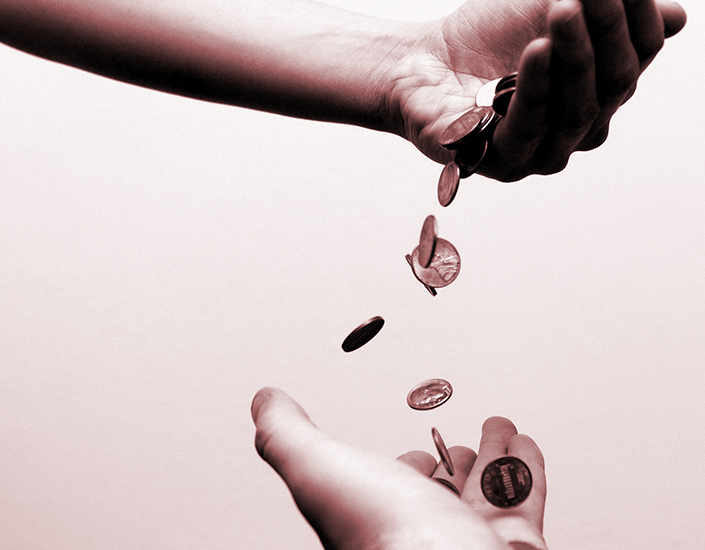 There are a range of funding sources available to PSBs and public bodies that can support transformation and the development of new services that can help. This session will highlight some of the funding sources available and look at their strengths and weaknesses. The School Health Research Network (SHRN) is a network of secondary schools in Wales who have joined together with researchers, the Welsh Government and other organisations to support young people’s health. This workshop will provide information on the national SHRN's national Student Health and Well-being Survey and how its results can be used locally to better understand the well-being of secondary school age pupils and how this might change over time. Co-production can be an effective way to deliver services and interventions, but it can be difficult to measure. This session will provide ideas on how organisations can develop monitoring and evaluation processes to support co-production. Anecdotal evidence says that activity improves physical and mental well-being, reduces demand on health services and can provide net financial benefits, but how can this be measured? 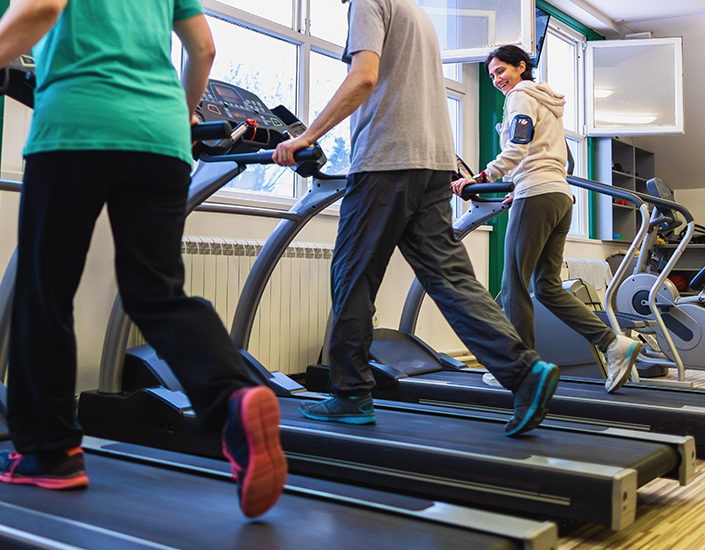 Carmarthenshire are developing methodology to quantify the saving generated from the use of leisure facilities, based on demographics and frequency of use. This session will outline their project and how they are trying to measure the positive impact of their leisure services. Based on delegate’s suggestions, and our discussions with partners, these are the ideas most frequently raised for the un-conference sessions. These sessions will be informal and un-moderated (unless specific subjects are very popular, in which case we will provide some facilitation). Please come prepared to speak from your own perspective and join in the discussion in your session(s). If there are any action points or outcomes from the sessions, please let us know and we can help develop these and take them forward. If you want to attend more than one session, please feel free to move about during the 45-minute period or continue discussions over lunch. Please use the Menti meter poll https://www.mentimeter.com/ and enter the code: 806545 to select the topic you would like to take part in. You can also choose on the morning when you arrive. How can we improve links with Academia? What benefits could this provide to partnerships? How do ACEs impact on criminal behaviour? How are you using ACEs within Well-being Plans? Office for National Statistics (ONS) are publishing measures for loneliness in England in December 2018. Welsh Government are currently consulting on strategy development in this area. Is tackling loneliness a priority in your area? How are you showing that your work is making a difference? What are you doing that is new and different? What is your Partnership grappling with at the moment? What are the big issues on your agenda? 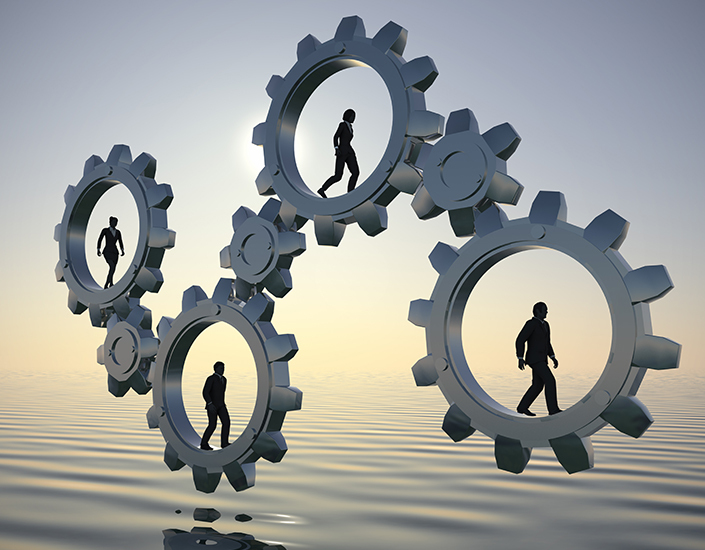 Does your Partnership or organisation have any research capacity? How are you using it? Do you have ideas for research work that you can’t initiate? Are you interested in using well-being data in your area? Are you trying to develop local well-being data to support monitoring work? Any other data issues that you want to share, maybe around data gaps or data development issues? How did you find producing your first Annual Report? Do you have any learning or good practice to share? What engagement work have you done with the public and service users? Are you struggling to get started or get this work right? We have a workshop looking at well-being in secondary school age children. Are you developing your own health data for young people? Would you be interested to hear from others already doing similar work? Physical health and well-being, and participation in physical activity are priorities in many areas. What data are you using to measure this? 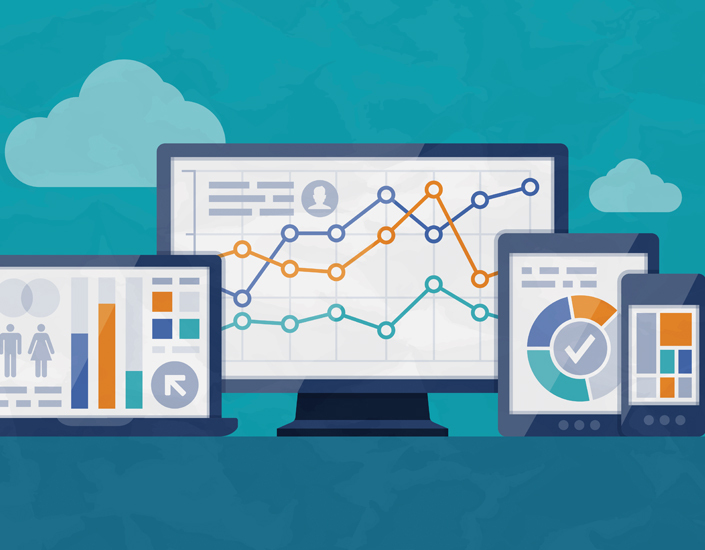 Are you developing data or information locally? Are you doing any work on social prescribing? Would you like to share ideas and know more about what others are doing? A range of data exists beyond the ‘normal’ sources (ONS, StatsWales, etc.) that could support your work. What administrative or commercial data do you use? Are there other sources of data that you would like to develop? Open data has the potential to allow access to a wide range of data, but using it can be complicated and difficult. What are your experiences of using open data? Are you interested in using open data but don’t know where to start? The following speakers are running or contributing to the workshops during the day. 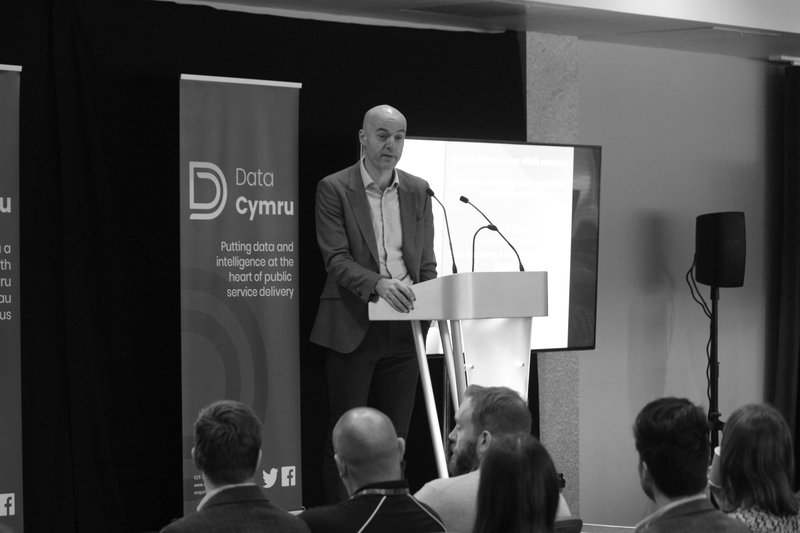 Andrew has been the Executive Director of Data Cymru for 15 years. He has overall day to day responsibility for the management of the organisation. This includes responsibility for both strategic and operational management. 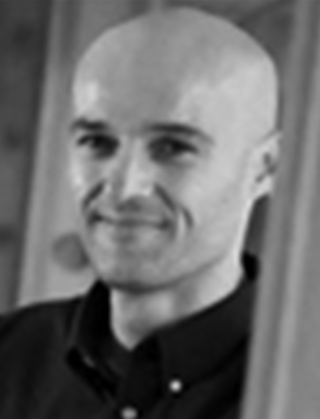 Andrew also provides senior leadership and oversight on a range of Data Cymru projects and deliverables. 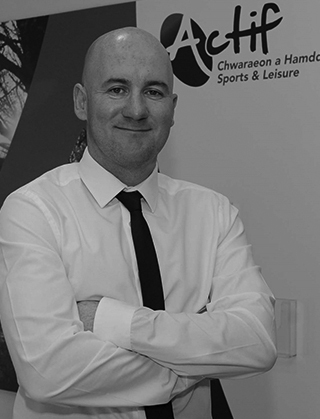 Starting out as a primary school teacher in Wales and then England, Carl returned to Carmarthenshire to co-ordinate the county’s physical activity programmes for young people before taking responsibility for the wider sport and physical activity portfolio. This includes the management of facilities and community programmes, where Carl employs a range of software systems to store, process and help analyse data for effective service/business management and to quantify the impact of participation on the population. 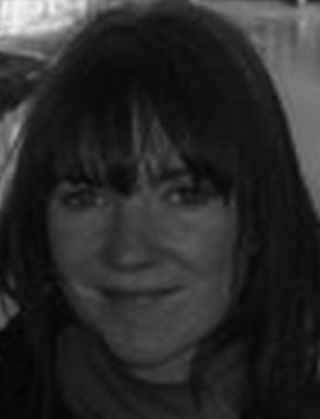 Gillian Hewitt is a Research Associate in the Centre for the Development and Evaluation of Complex Interventions for Public Health Improvement (DECIPHer) at Cardiff University. Over the last 5 years she has helped to develop the School Health Research Network and organises the development, distribution and reporting of its biennial Student Health and Wellbeing Survey and School Environment Questionnaire. 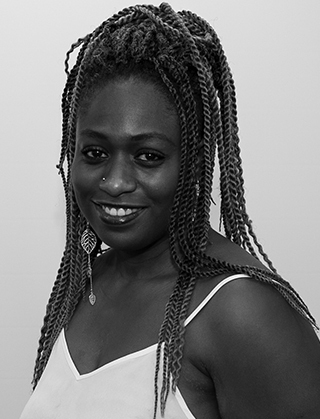 She has research interests in school-based health improvement and the health and wellbeing of young carers. Heledd is a Change Maker at the Office of the Future Generations Commissioner for Wales. This involves working with organisations to help them work to the Well-being of Future Generations (Wales) Act. She leads on monitoring and assessing how organisations are meeting their well-being objectives and support to 19 Public Services Boards across Wales. Heledd lives in Cardiff with her partner and greyhound but is from Carmarthenshire originally and speaks fluent Welsh." Ian Jones is Head of public Services Research at the Welsh Government. He has led research and evaluation programmes across a range of policy areas including health, social care, housing and local government. 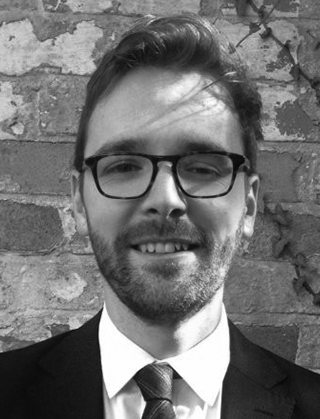 Ian was previously a senior research officer at the Public Policy Institute for Wales. Joan is the Manager of the School Health Research Network (SHRN) at the DECIPHer research centre, Cardiff University. She has had the role since its inception in 2013, to the national network it is now, with all mainstream maintained secondary schools. Joan works to ensure that SHRN meets the needs of all member schools, researchers and key health and educational stakeholders. Her background is in teaching and she has spent many years working in the field of school health in Wales. Jonathan is the Chief Economist at Welsh Government. He has also worked at the Office for National Statistics and the Welsh Office, and was Head of the Economic Research Unit before taking up his current role in 2006. He gained an MSc in Economics at Cardiff University and a BSc in Economics and Philosophy at Bristol University. Leanne is a social researcher at Data Cymru. Her role is to contribute to the expansion of Data Cymru’s social research function and encourage citizen involvement in public sector research and delivery. 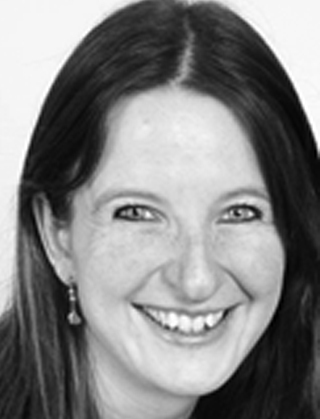 She has experience in a range of qualitative research areas and analysis and previously worked as a social researcher on evaluation and engagement projects in a freelance capacity. 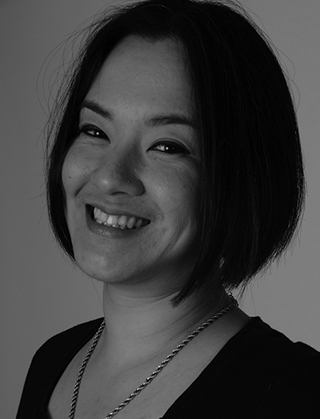 Liz is co-founder and Chief Executive of Happy City which has been developing and delivering new ways to measure, understand and improve the wellbeing of people, place and planet since 2010. Happy City has gained a global reputation for combining academic rigour, with practical, accessible and adaptable tools that support positive change. 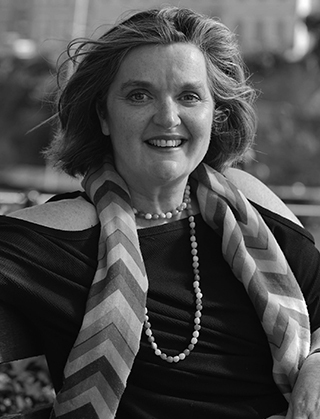 Liz has worked at all levels on 4 continents, ranging from individual entrepreneurs to global businesses, and from small teams in NGOs to the UN. 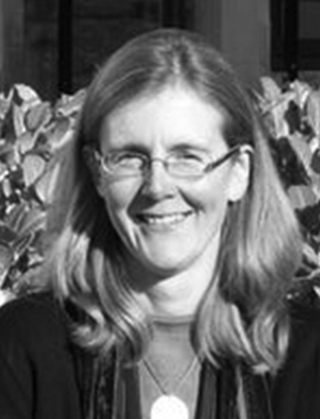 Mair is a Senior Research Officer at the Wales Centre for Public Policy. 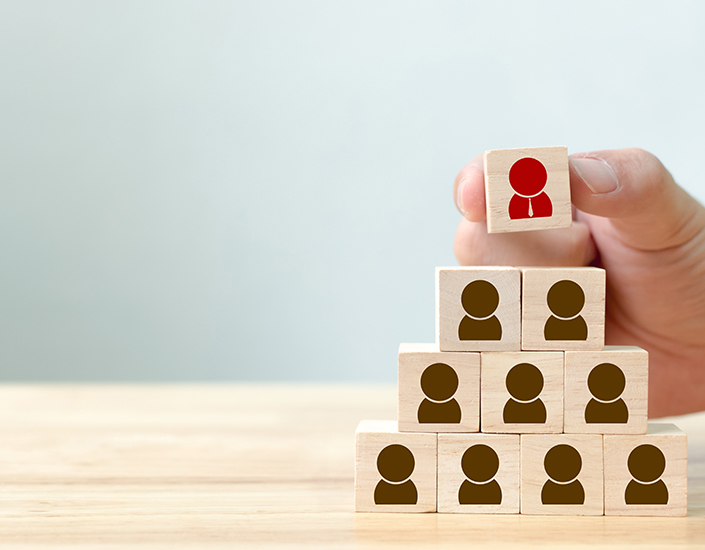 The Centre collaborates with leading policy experts to provide ministers, the civil service and public services with high quality evidence and independent advice that helps them to improve policy decisions and outcomes. 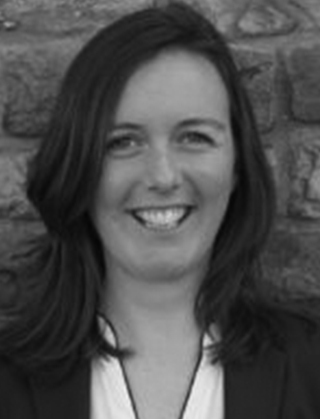 Mair was previously a Senior Consultant for Wavehill, where she led research and evaluation projects for public and third sector organisations including Welsh Government, the Prince’s Trust and The Organisation for Economic Co-operation and Development (OECD). Currently, Nia is Head of Social Justice Statistics in the Welsh Government. Nia leads on the Welsh Index of Multiple Deprivation, as well as statistics on poverty, children & families, equalities and community safety. 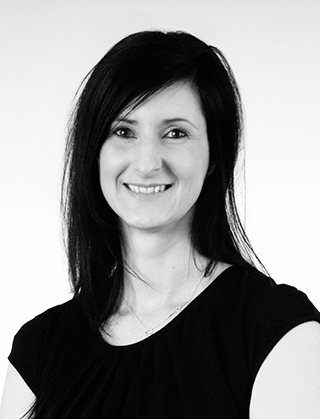 With over 15 years’ experience as a government statistician, in the past Nia has worked on modelling student finance, election reporting for Assembly Members, managing the Welsh Health Survey, sample design and quality measurement for the ONS. The Co-production Network for Wales support citizens and professionals to bring positive change to public services and communities. Noreen’s main focus is consolidating the resources available to members to share and spread co-productive practice and developing the Network beyond the initial funding period. She brings her passion for social change and transformation to support change makers working towards a common vision: that of a fairer and more sustainable Wales where everyone has a voice. 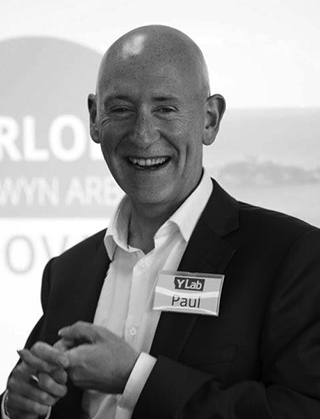 Paul works in the Welsh Government and is based in the Welsh Treasury where he heads up the Invest to Save and Innovation team. 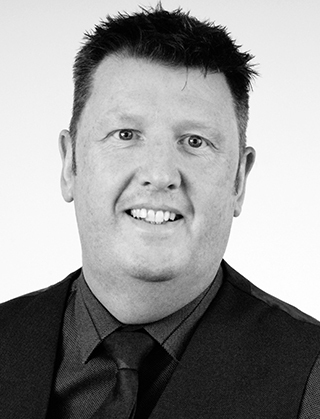 Paul joined the Welsh Office in 1998 just prior to devolution and has worked in a variety of finance and policy posts, notably overseeing the financial planning function of the Welsh Government. Prior to becoming a civil servant Paul worked in the finance function of a number of local authorities. Professor Frijters completed his Masters in Econometrics at the University of Groningen, including a seven-month stay in Durban, South Africa before completing a PhD at the University of Amsterdam into wellbeing in Russia during the transition. He is Professorial Research Fellow and Co-Director of the Wellbeing Programme and Project Director of the World Wellbeing Panel. 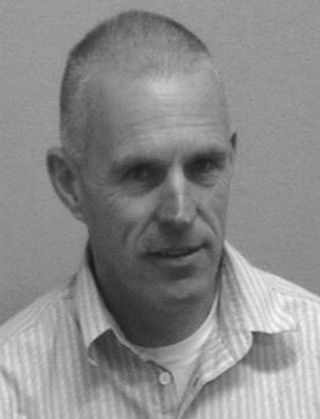 Professor Frijters specializes in applied micro-econometrics, including labour, happiness, and health economics, though he has also worked on pure theoretical topics in macro and micro fields. 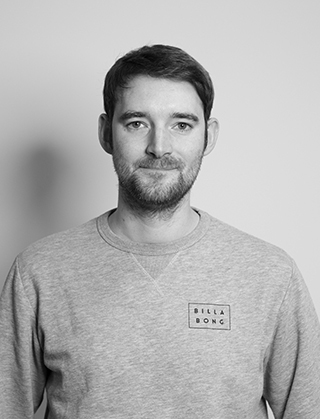 Rob is Co-lead and Head of Y Lab (Programmes). Y Lab - the public services innovation lab for Wales - is a partnership between Cardiff University and Nesta. Rob leads the delivery and strategic direction of the programmes of work undertaken by Y Lab, the largest of which is Innovate to Save - a collaboration between Y Lab, Welsh Government and the Wales Council for Voluntary Action (WCVA) - looking at supporting innovation in public services that creates cashable savings and improvements for people. 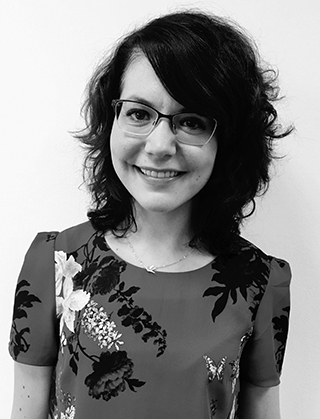 Silvia is leading the work on personal and national well-being and the loneliness measurement at the Office for National Statistics (ONS) to inform public policy and debate in these areas. Prior to this, Silvia was based in the National Survey for Wales Team at Welsh Government and the ONS Methodology and Population Statistics Divisions. Before joining the Civil Service, she worked in the field of market research and delivered projects carried out in the UK, Italy, France, Russia and Turkey. 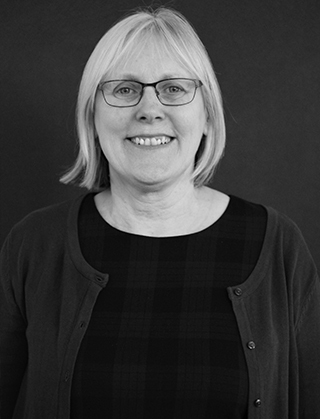 Sue is currently Head of Education and Public Services Statistics in the Welsh Government and Deputy Head of Profession for Statistics. 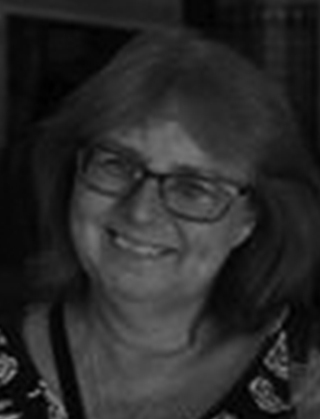 With many years of experience within the Government Statistical Service Sue’s current post covers statistics related to Schools, Housing, Deprivation, Equality and Environment for Wales. Sue has been a key part of the team agreeing the National Indicators for Wales and have authored two chapters of the Well-being of Wales report (on equality and resilience). 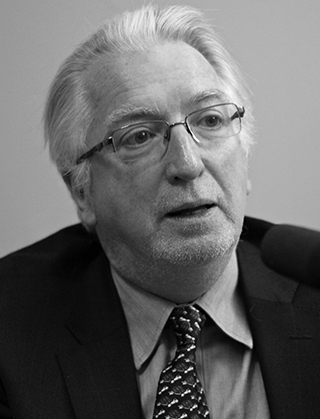 Tony Bovaird is Emeritus Professor of Public Management and Policy at INLOGOV, University of Birmingham, UK and Director of the non-profit organisation Governance International. His research covers public sector strategic and performance management, evaluation of public services and user and community co-production. He has undertaken research and consultancy for the European Commission, OECD, UK Parliament, Cabinet Office and many international governments. He is co-author of Public Management and Governance (Routledge, 3rd edition 2016). We had such a positive response to our 2017 event, we knew it would be ‘a hard act’ to follow this year. Nevertheless, we thought we had to try! 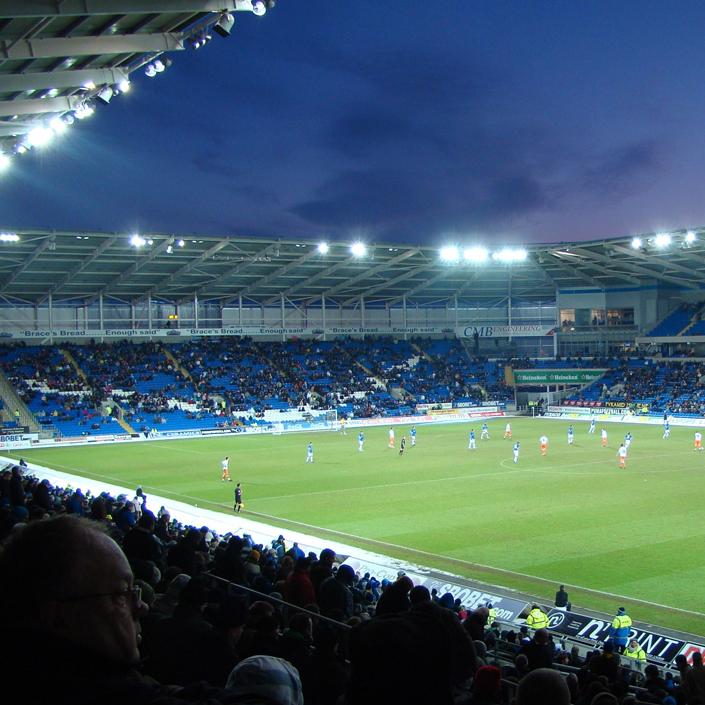 The Cardiff City Stadium is a stadium in the Leckwith area of Cardiff, Wales. It is the home of Cardiff City Football Club and the Wales national football team. Cardiff City Stadium is easily accessible, with so many ways to travel here, coming to the conference couldn’t be easier. There are strong transport links via rail and road, not to mention it is easy to get around on foot, by bike or using public transport. There are local bus routes and stops that provide excellent access to Cardiff City Stadium. Cardiff Central Bus Station is closed until 2020.The main bus station is temporarily located at Sophia Gardens, in Cardiff City Centre. Bus numbers X91 and 95 run throughout the day and evenings past the stadium (Hadfield Road). Please contact Cardiff Bus for further information. National coach operators also provide a regular service to Cardiff City centre. The closest railway station to Cardiff City Stadium is Ninian Park. It’s approximately 5-10 minutes walk away from the Stadium. You can get to Ninian Park station to by taking a connecting train from Cardiff's main station, Cardiff Central. There are direct trains from London Paddington, Birmingham, the south coast and south-west England, with connections from the rest of the National Rail network to Central Station. If you're travelling to the Stadium by car, from the M4 is easy. Leave the M4 at junction 33 and take the A4232 towards Cardiff/Barry. Exit the A4232 on to the B4267 turn-off, signposted towards Cardiff City Stadium. You'll see the stadium on the horizon as you approach the turn-off! Follow the slip-road off the B4267 and take the first left at the roundabout - the Stadium will be on your right hand side. Turn right at the second set of traffic lights and follow the appropriate signage. Cardiff is very flat and easily negotiated by bike. The Taff Trail cycle path only minutes away provides traffic-free routes. Free, secure, managed cycle parking is provided at Cardiff City Stadium. It's easy to walk to Cardiff City Stadium, with footpaths and direct routes from most areas of the city. To walk from the centre of Cardiff to the Stadium will take approximately half an hour. You will need to head south west of the Principality Stadium towards the Riverside area of the town, then follow signs to the Stadium. There is plenty of free parking situated at the front of Cardiff City Stadium. This is a free event. It is being supported by Welsh Government, as part of its package of support for Public Services Boards, and by the Office of the Future Generations Commissioner for Wales. Paul is the Programme Co-Director of Wellbeing in the Centre for Economic Performance at the London School of Economics and Political Science. He specialises in trying to develop evaluation models to measure the impact of services and interventions on well-being. What are the issues you are grappling with at the moment? Where do you need some support or help? 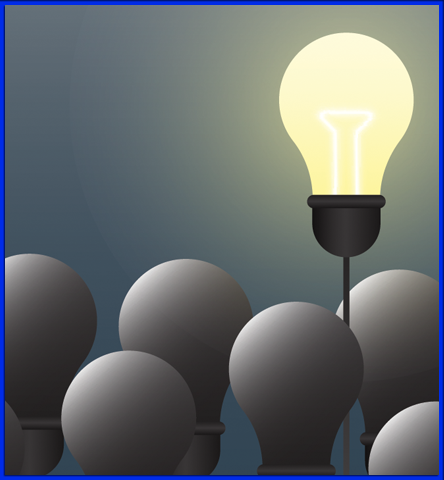 Have you done something interesting or innovative recently that you would like to share with others? We would like delegates to suggest content for one session in the day. Give us your suggestions for topics you’d like to discuss, and why. We will collate these (we might ask you for more information), and then share them with delegates prior to the event so you can see what is available. The session could be three or four people chatting about the same issue, or if 20 people give us the same topic we will organise something more formal. We will run the sessions and provide any support needed, but the content will be decided by you. Tony is Professor of Public Management and Policy at the University of Birmingham. 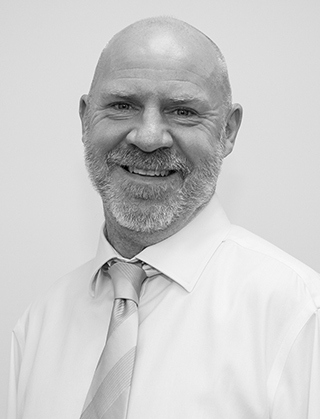 He has worked in and with local government and is a leading authority on public sector strategic management, performance management and user and community co-production. Training your staff in relevant topics such as Basic Statistics, Presenting Data, Managing Performance, Survey Design & Analysis, Questionnaire Design etc. Providing cost-effective access to a range of commercial data sets. If you think we can support you, or if you want to discuss any of the support we offer, please get in touch.